Panagiotis Th. 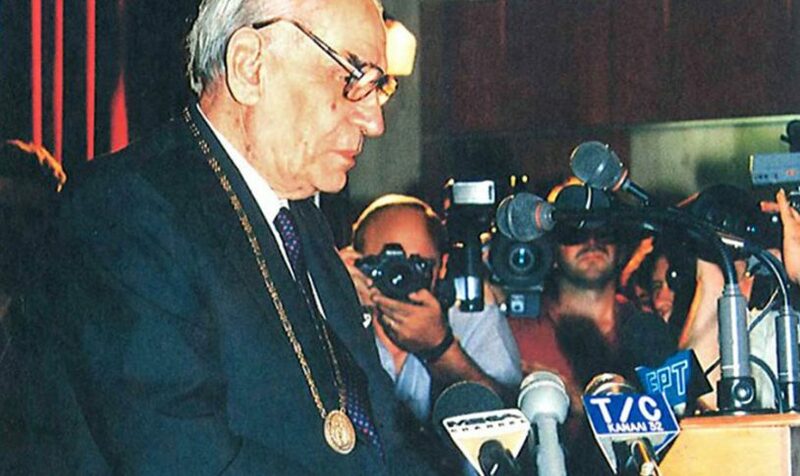 Angelopoulos was a great personality of economic life and industry in Greece. He was born on December 14, 1909 in the village of Vlachorrafti – Gortynia, Arcadia. In 1948 he created Halyvourgiki SA, which developed into the country’s first heavy industry. He married Eleni Markou and had two sons, Theodoros and Konstantinos. In September 1972, he started iron exports and gradually set up businesses such as “Geselschaft” in Switzerland, “Alpha Steel” in Cardiff, Wales, “Beta Steel” in Indiana, USA, under the control of “Credite Industriale Societe Anonyme”. From his rich charitable contribution, his contribution to the fundamental rebuilding of the Ecumenical Patriarchate’s Mansion stands out, for which he was declared the Great Benefactor and the Great Logothetes. 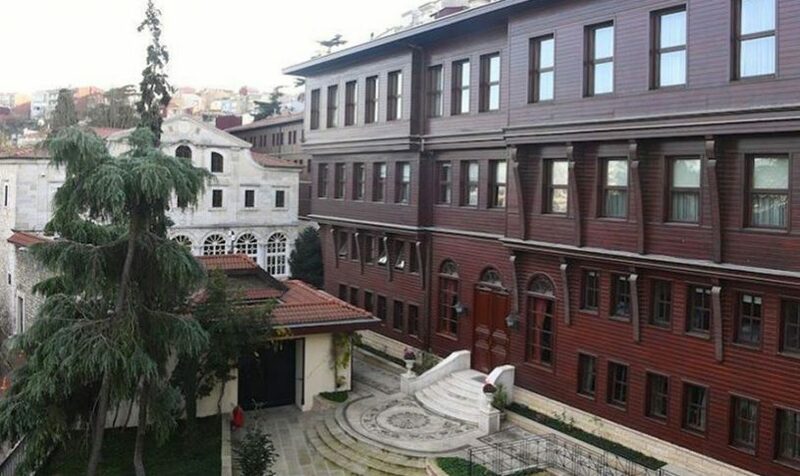 He also renovated the Library of the Patriarchate, the Patriarchate’s Church of St. George and the Great School in Constantinople. He has been honored many times by Greek and foreign authorities, by foundations and associations.He is one of the great benefactors of Arcadia. 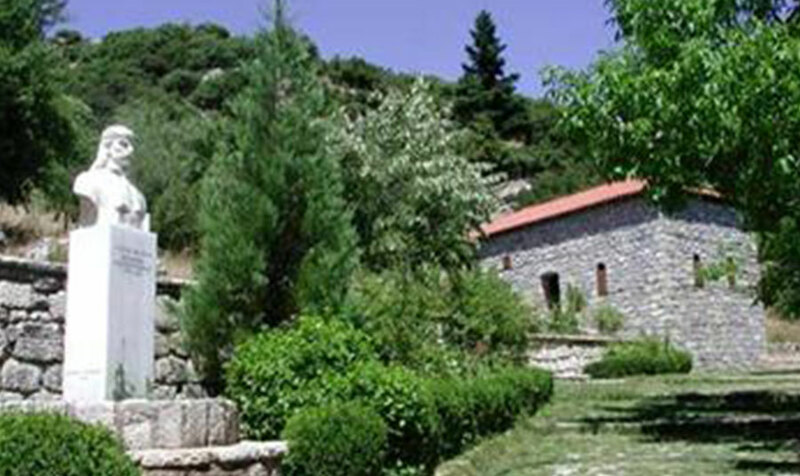 He restored the house of Gregory V in Dimitsana. 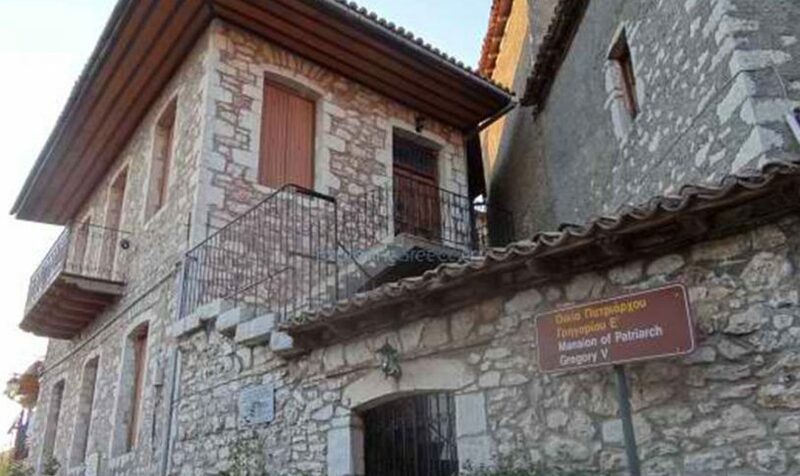 The memorable benefactor and Great Logothete of the Ecumenical Patriarchate, Panagiotis Angelopoulos, feeling the debt to the liberator of the Nation, Theodoros Kolokotronis, rebuilt the house of the Kolokotronis family in the historic village of Limpovisi, Arcadia. 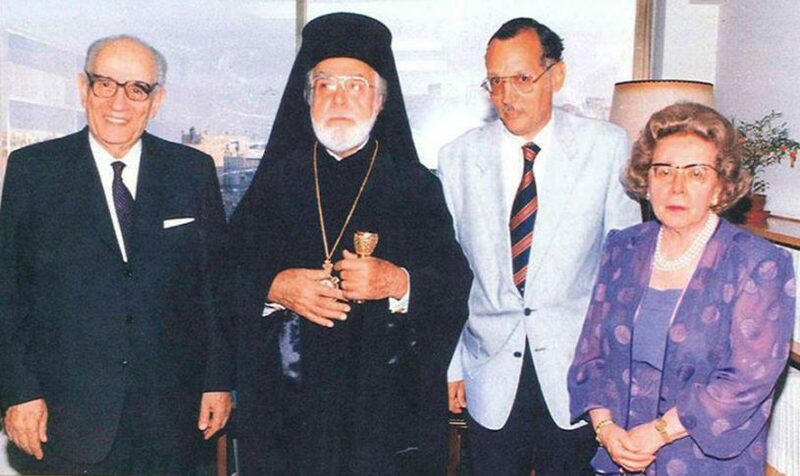 In 1974 he donated to the Saint Savvas Hospital a modern radiotherapy machine. He also built the Orthodox Church of St. Demetrius in Zurich and funded a research program of the Academy of Athens. His grandchildren, Panagiotis and George Angelopoulos, continue their family’s work, which for years has been funding public health in our country. They donated a new ultramodern linear accelerator to the Saint Savvas General Anticancer and Oncology Hospital, while renovating the Radiotherapy Wing. In fact, the message at the entrance of the wing says, “Thanks to you Joanna”. Ioanna Aggelopoulos-Staxtos, was the for years wige of George Angelopoulos, who “departed” in September 2016). 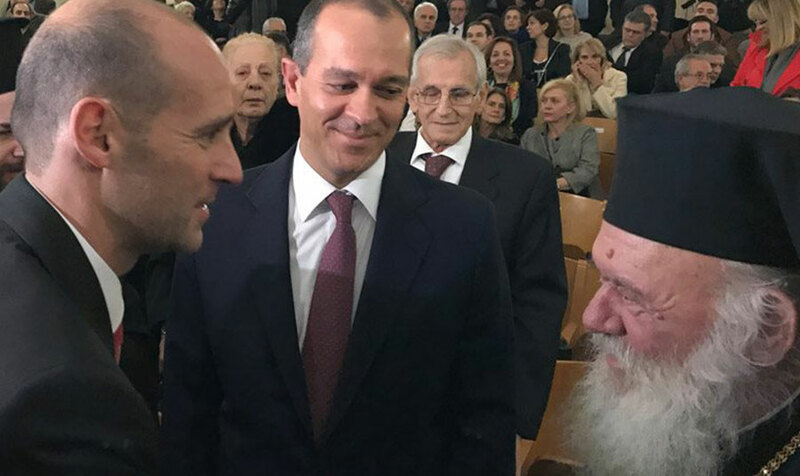 Panagiotis and George Angelopoulos with the Archbishop of Athens, Mr. Hieronymus, at the donation ceremony of the ultra-modern linear accelerator at St. Savvas Hospital.